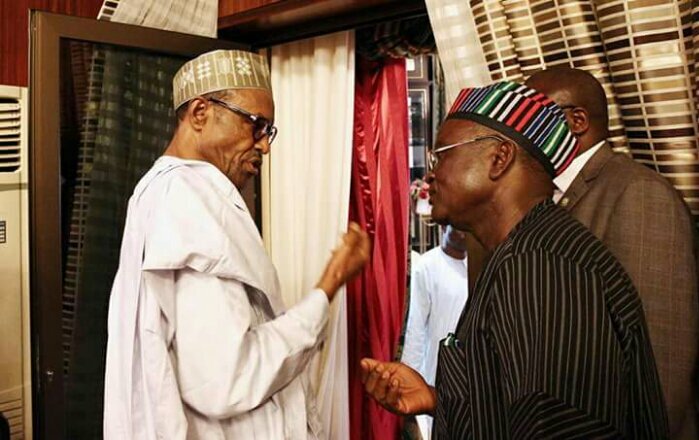 In responding to the Benue Advancement Forum, BAF, Governor Ortom has assured the people of Benue state that the state will soon return to the peaceful normal life. Governor Ortom thanked members of BAF for their visit and assured them that his administration would not relent in its resolve to ensure the return of peace and security to parts of the State recently attacked by herdsmen. He repeated his call on security agencies to arrest the leadership of Miyetti Allah KautalHore and other groups suspected to be sponsors of the new year killings the State. According to them, “The visits by the governors to Makurdi, Benue State, was no longer about condolence but to dance and spit on the graves of those slaughtered by bandits. “It took 18 days of begging by the governors to consider visiting the state. “It is also outrageous and disheartening for President Muhammadu Buhari to summon the bereaved to Aso Rock instead of visiting them. “This is an insult on our collective sensibility as a people. The bereaved are always visited not summoned”.